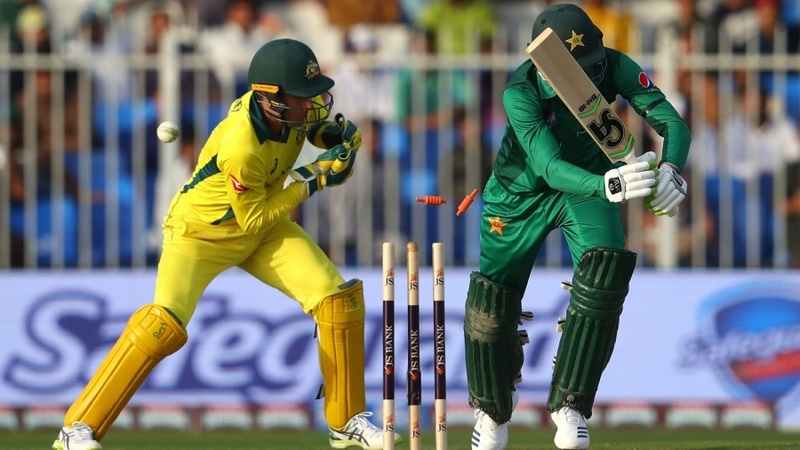 Following a meek, uninspired performance that saw Australia thump Pakistan in Sharjah – that could apply to either of the two ODIs, in all honesty – a seemingly throwaway comment from Shoaib Malik came in for sustained criticism. At the post-match presentation, Malik told Ramiz Raja that Pakistan were using this series to test their bench strength and “winning or losing doesn’t make a difference”. It was clumsily phrased, probably not what he meant in the manner it was interpreted, but it set off a firestorm of outrage, led by Ramiz himself, who questioned why the series was being played then. Either way, Malik and his men find themselves in the limelight squarely once again, looking to stave off a series loss in Abu Dhabi. Pakistan may be missing several key players, but even so, their toothless bowling attack will be of concern. The quicker bowlers in particular have struggled to put Australia under pressure with the new ball, having taken just four wickets all series, conceding 566 runs. As if these problems weren’t intractable enough, Faheem Ashraf has been rested for the remainder of the series, depriving Pakistan of a valuable all-round option. Mohammad Amir’s ODI drought shows no signs of abating, having taken just 5 wickets at 92.6 in the past 21 months. Mohammad Hasnain will probably be given another game, but Usman Shinwari and Junaid Khan could also be looked at as Pakistan seek to bring in changes in the fast bowling department. into the contenders conversation. Aaron Finch and Usman Khawaja suddenly look so impregnable you wonder how David Warner can squeeze into an opening slot at present, while the both pace and spin bowlers have discomfited Pakistan enough to keep them well below par twice in a row. Jhye Richardson’s unavailability following a nasty dislocation of the shoulder opens up an opportunity for Jason Behrendorff or Kane Richardson in the remaining three ODIs. With Mitchell Starc and Josh Hazlewood already battling to be fit ahead of the World Cup, Australia will hope to have as many fast bowling options as possible to choose from. The middle order hasn’t been tested this series, but if the India games were anything to go by, they will be up for the challenge. Pakistan’s job for now is to at least pose them some serious questions. Shan Masood was a shining beacon on a fairly grey Test tour to South Africa a couple of months ago, so much so he was selected for the ODI series here to see if he could be fast-tracked to the World Cup squad. It was a great opportunity to pile on the runs on gentle, docile pitches, but so far, Masood has fallen well short of doing that. He got starts in both games, scoring 40 and 19, but when the time came to kick on, he played ordinary, careless strokes to give his wicket away. His domestic limited-overs form over the past year has been exceptional, but with time running out to claim a World Cup slot, Masood needs a noteworthy display in the games that remain. If that doesn’t happen in the third ODI, Masood may well find himself trying to impress in two dead rubbers, where performances will understandably carry lesser weight. While his circumstances aren’t as dire as his Pakistani counterpart Yasir Shah, Adam Zampa hasn’t reaped the rewards a top spinner on Sharjah’s pitches normally should. He was disciplined and consistent in the first ODI, conceding just 44 in 10 overs, but discipline and consistency is what finger spinners are usually for. The wicket-taking menace that makes legspinners so revered and frustrating in equal measure hasn’t shone through in Zampa’s game thus far, and 1-57 in the second ODI indicated he hasn’t quite hit his straps yet. It was markedly different in the series against India, where, despite going for runs, Zampa took 11 wickets across five games. It is a trade-off any legspinner would be happy to accept, and Zampa’s ODI career average of 36.42 belies the promise of his talent. Shoaib Malik was willing to be so clear about his intentions he didn’t mind copping heavy censure for it, so expect more rotation from Pakistan. Don’t be surprised to see at least one of Abid Ali and Saad Ali make their debuts. Spin is expected to play an important role in Abu Dhabi, too, with both teams likely to opt for two spinners. The weather will be overcast, but rain is unlikely to play any part. Australia have won 10 of the last 11 ODIs they have played against Pakistan. The only loss came at the MCG in a five-match series in 2017 that Australia won 4-1. If Usman Khawaja scores more than two runs, he will overtake Virat Kohli to become the leading ODI scorer in 2019. Half of Yasir Shah’s 20 ODI wickets have come in just two matches, a four-wicket haul against Sri Lanka and a six-wicket haul versus Zimbabwe.